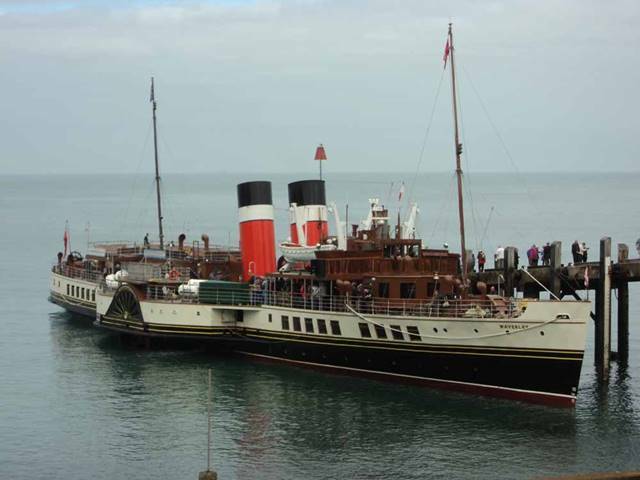 Waverley’s Clyde season ended on 28 August 2016 with a cruise from Glasgow to Lochranza. The steamer headed south to the Mersey without delay. She arrived in good time and was able to give both her planned cruises. On 30 August she sailed from Liverpool to Llandudno and the Anglesey coast with a cruise up the Lancashire coast given the following day. Then it was straight off to the Bristol Channel with a destination of Avonmouth to take fuel, water and stores. The paddler’s Bristol Channel season commenced on Friday 2 September at Penarth, steaming away at 09.30. The first call was at Clevedon where a good number joined the ship from the top of the pier. With a Pilot on board we headed up river to view the two Severn Bridges under grey skies. 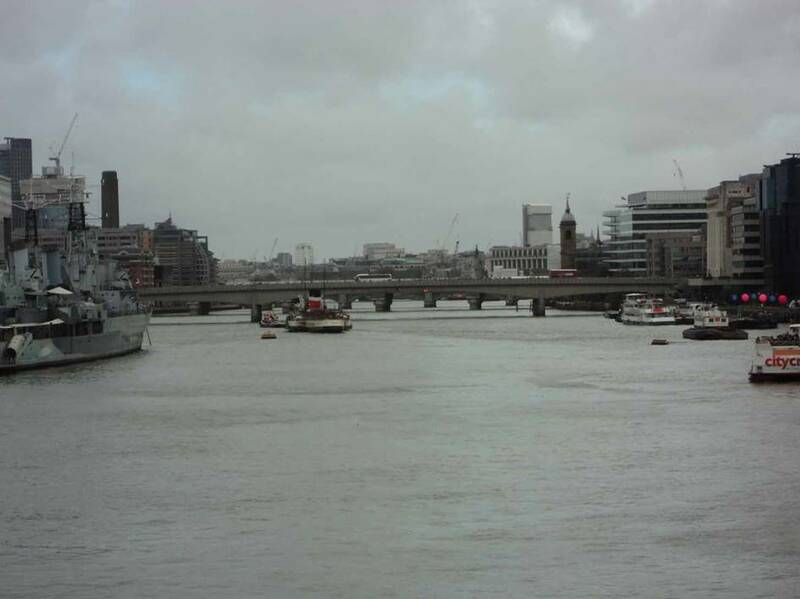 By the time we had passed the original bridge, with the old ferry slipways still visible, the tide was ebbing. Very shortly we turned and, with tidal assistance, the vessel was noted as travelling at 18 knots over the ground. By the time we returned to Clevedon and berthed in the strong current, we were running a little late. While all the passengers were struggling up and down the pier steps the water level continued to drop rapidly until the minimum acceptable depth had been reached and Captain Cochrane ordered the gangway pulled in and the steamer sailed without more ado. 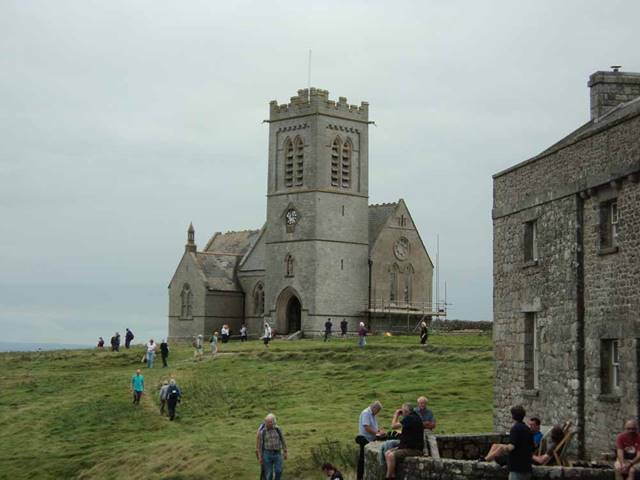 Unfortunately, quite a few passengers had to be left behind – such are the vagaries of the Bristol Channel tides. The afternoon cruise took Waverley round both Steep Holm (English) and Flat Holm (Welsh) before returning to Clevedon just as soon as there was once again sufficient depth of water to go alongside. 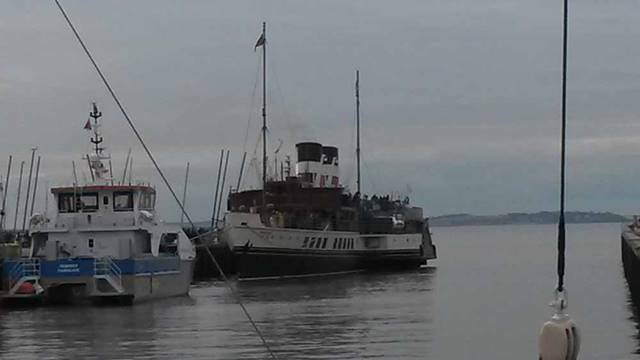 After the passenger exchange had taken place, Waverley steamed off to Penarth on the final leg of the day’s sailing. 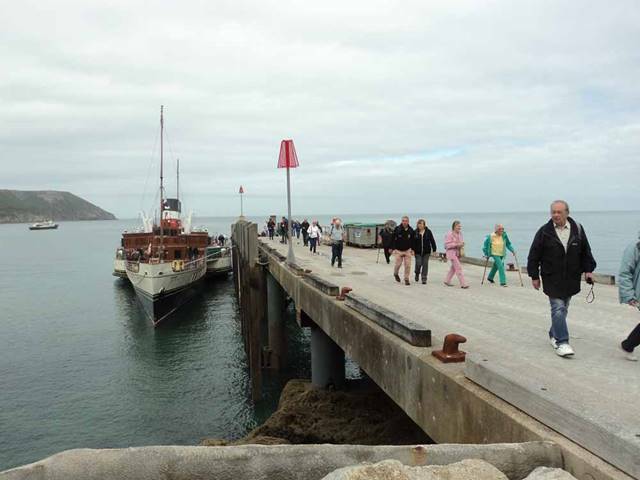 Saturday’s cruise was scheduled to see the paddler reach Ilfracombe for the first time in 2016. However, this was not to be as the weather was wet and too windy to sail that far west. 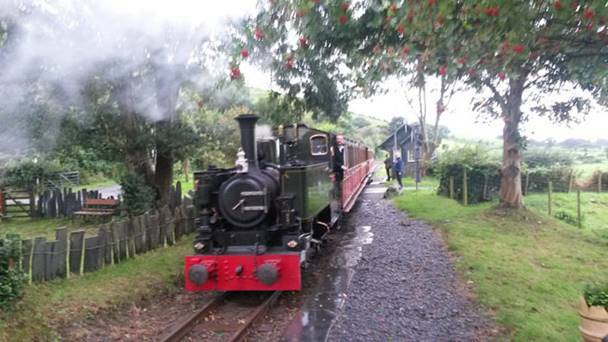 While the steamer stooged around the Holms and eventually steamed west to Blue Anchor Bay near Minehead, we headed off to the Tal-y-llyn Railway in mid-Wales instead. 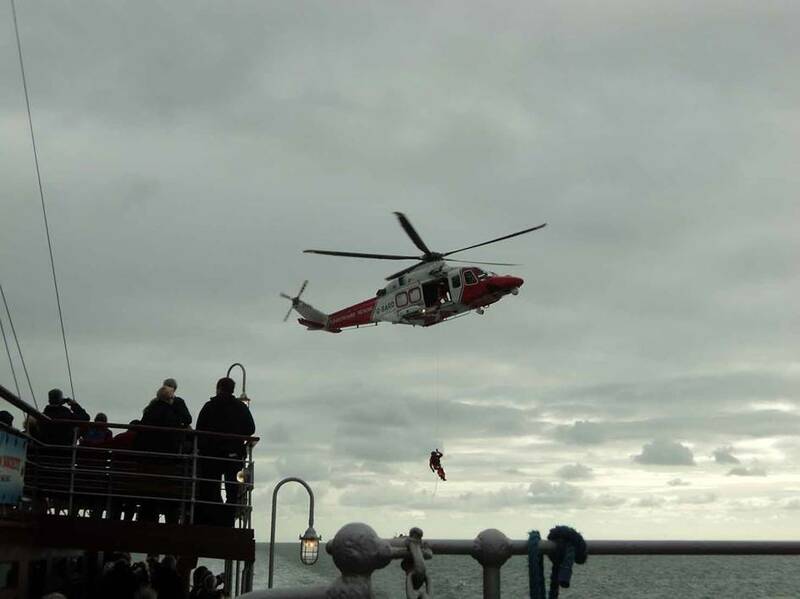 The cruise was enlivened by a Coastguard helicopter exercise. 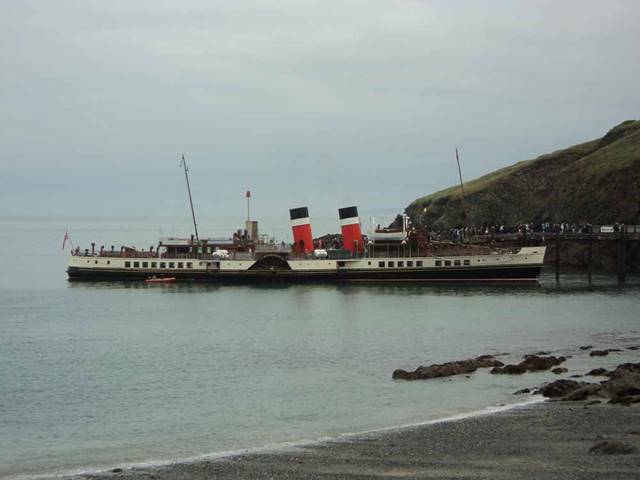 Although the rain had gone on Sunday, the sea remained too rough for Waverley to sail safely. Consequently, the sailing was cancelled entirely and the steamer retreated to Avonmouth. The Vale of Rheidol Railway between Aberystwyth and Devil’s Bridge was our alternate destination and very enjoyable it was. Fortunately, the sea became calm in time for Monday’s sailing. This started at Clevedon carrying English passengers across the Channel for a coach trip to the Brecon Mountain Railway. Cruising then took over with a return to Clevedon for a sea cruise, a third call at Clevedon before returning to Penarth to pick up the Railway passengers to return them to Clevedon. 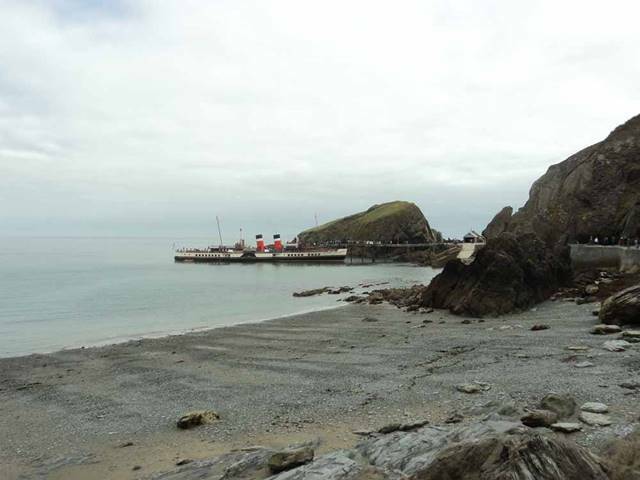 Following completion of her public sailing, Waverley sailed light to anchor in Swansea Bay. 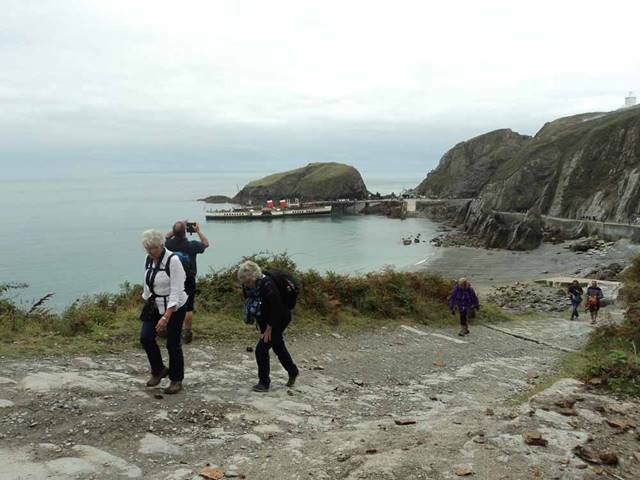 Tuesday saw a Swansea – Ilfracombe – Lundy cruise with a little time ashore on the ’mystic isle.’ The weather was very kind and the sea produced a gentle swell so that the steamer rolled gently on her cross-Channel leg. The trip was well supported with a veritable fleet of coaches awaiting our return to Swansea. No-one is allowed to walk to the berth at Swansea with passengers coached into the docks from the local Fabian Way park and ride or from Porthcawl. After disembarkation was completed, the paddler took fuel before steaming off round Land’s End with Weymouth as her destination. The South Coast season kicked off on 8 September. As the Bestival music festival was in progress, Portsmouth was too busy for the paddler to call and the initial sailings did not follow the normal pattern, being based more to the west. The first call at Portsmouth had been planned for the Saturday but unfortunately the boiler gremlins struck and the steamer was unable to start her sailing from Southampton. 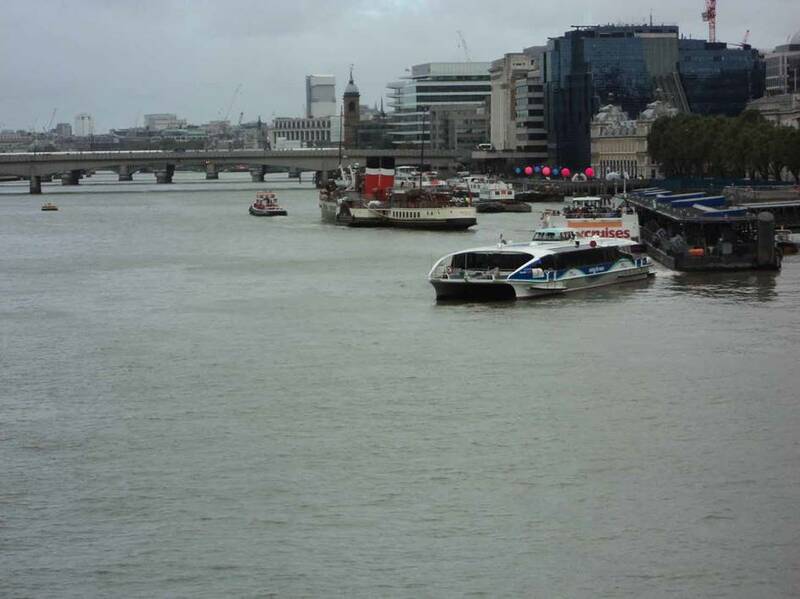 Eventually the decision was taken reluctantly to cancel the entire day’s sailing. This was very disappointing as the ship had been fully booked for some weeks and, indeed, a special train had come from Solihull to bring passengers for the circumnavigation of the Wight. 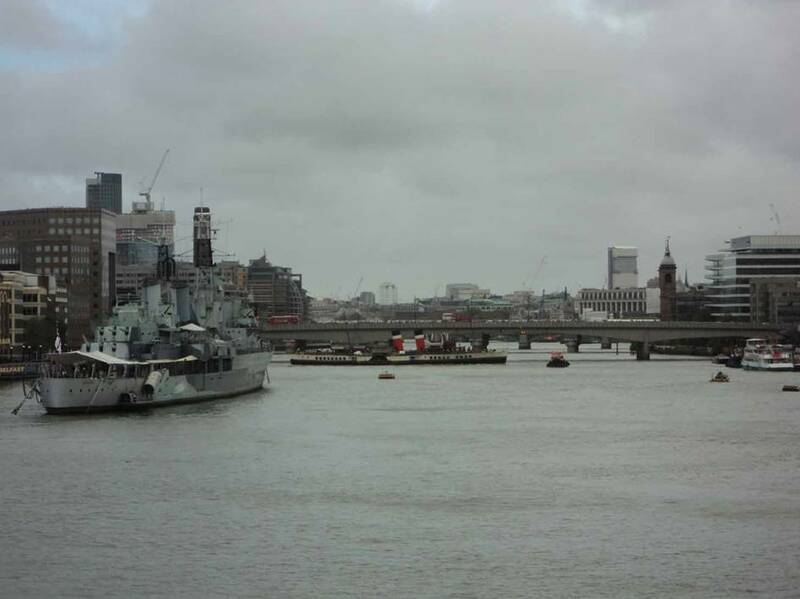 As the weather was, yet again, wet and windy, the ship would have been confined to the Solent in any case. Fortunately, Sunday dawned bright and still and the boiler gremlins had been sent packing, so Waverley was able to undertake her scheduled sailing from Southampton to Yarmouth, Bournemouth, Swanage and Weymouth for time ashore. There was a good turn-out throughout the day. The Weymouth Triathlon was in progress when we arrived and passengers had to wend their way across the course and through the special attractions. Nevertheless, we managed to drink a pint of St Austell Proper Job at The Globe. Monday was an off-service day at Southampton but Waverley was off to Swanage bright and early on Tuesday morning. Her cruise was to take her to Bournemouth and Yarmouth to steam round the Isle of Wight. There was a tremendous thunder storm as the paddler set off. Fortunately, we joined the steamer at Yarmouth having crossed from Lymington on Wight Light, so we only saw a few spots of rain ourselves. The trip round the island was magnificent and was accompanied by Chris Philip’s knowledgeable commentary. After Wednesday’s sailing the paddler steamed east and dropped anchor in Cowes Roads for the night to be ready for Thursday’s sailing from Portsmouth Harbour. This took the steamer to Yarmouth, Bournemouth, Swanage and Lulworth Cove. It was a lovely day with excellent views of the Jurassic Coast. Fortunately, there was no firing taking place that afternoon and we were able to enjoy the coast at close quarter. Although more thunder storms had been predicted from 2 p.m., we were lucky enough that rain did not start to fall until we were back alongside Portsmouth Harbour Station Pier at 8 p.m. Subsequently the paddler sailed to Southampton for the night. Friday’s trip to The Needles had to be varied as, due to a fresh north-westerly wind, both calls at Yarmouth were cancelled, although the rest of the cruise went ahead as scheduled. The same thing happened the following day which meant the steamer was only able to call at Southampton and Portsmouth. 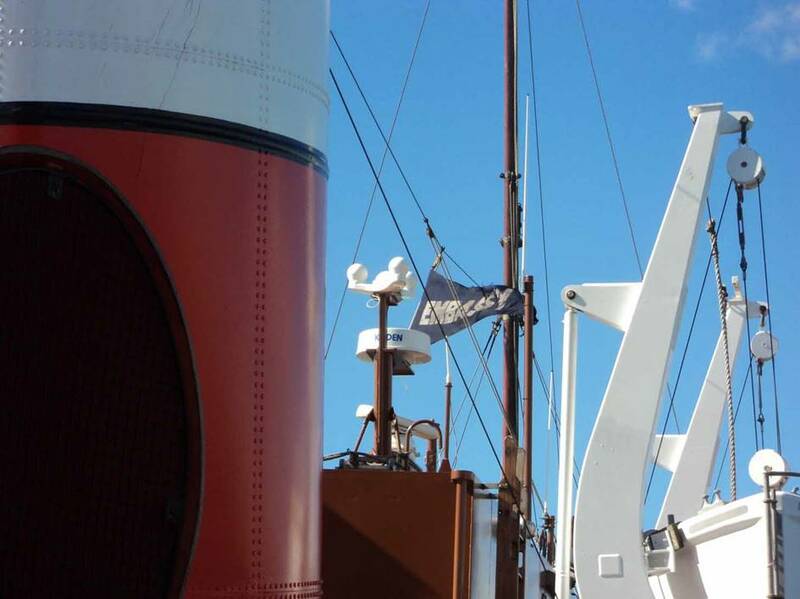 Nevertheless, Waverley was able to complete the rest of her cruise. Up until Thursday former Senior Master Andy O’Brian had been acting as the ship’s Chief Officer. This meant that Pilots were not required for Southampton or Portsmouth waters as he retained his Pilotage Exception Certificate. However, as he had left the ship, the paddler now required to pick up and drop off a Pilot for each trip in the Pilotage Areas. The omission of the two Yarmouth calls on Saturday saved a lot of time against the schedule but Pilots had to be re-booked for the revised times. 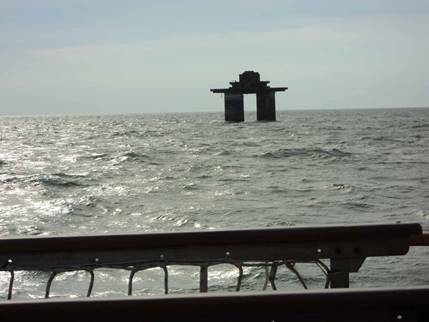 Most of the passage around the Island was undertaken at reduced speed and on arrival at Bembridge the steamer continued eastwards towards the Nab Tower to avoid entering the Pilotage Area until a Pilot was available. Similarly, the paddler had an extended stop at Portsmouth during which Brittany Ferries Bretagne entered the port, presumably to suit the Southampton Pilot. Calm conditions returned on the Sunday and Waverley was able to carry out her full schedule from Southampton to Weymouth under largely blue skies. Tidal conditions had ruled out the return Bournemouth call and passengers were returned by coach from Swanage as planned. Excellent views of the Jurassic Coast were complimented by Chris Warren’s commentary on the return leg. Monday 19 September 2016 was an off-service day for Waverley at Southampton. Unfortunately, the Engineers had to undertake a lot of paddle wheel repairs. 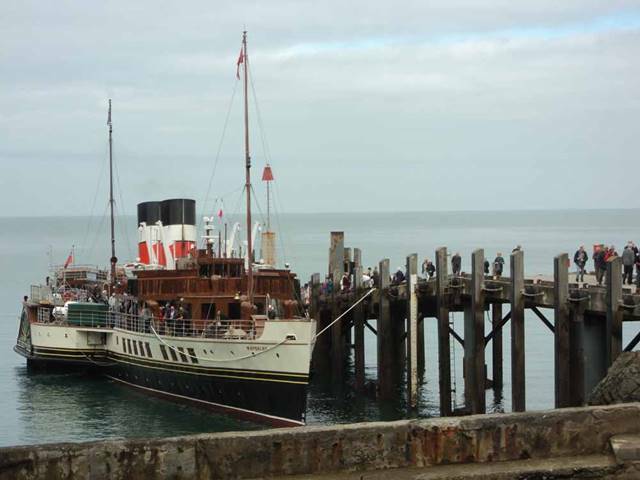 By the time they were completed, it was too late for the steamer to position to Swanage or Bournemouth for the scheduled Round the Island cruise. Nevertheless, the paddler was able to take about 300 passengers for the circumnavigation before proceeding to Weymouth for the night. 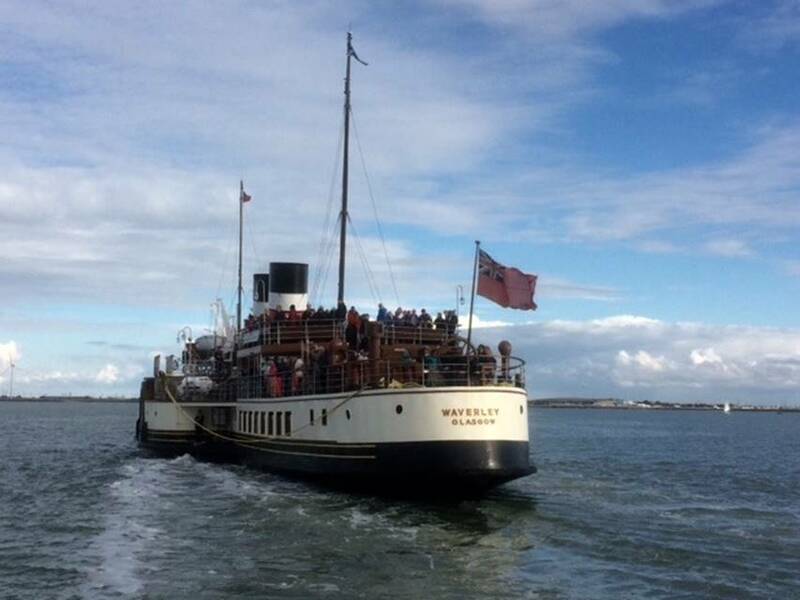 Wednesday’s cruise took Waverley from Weymouth to Swanage and Yarmouth for a cruise round Portsmouth Harbour. The boiler gremlins struck again at Yarmouth on the return leg. In the event, the paddler could not complete her voyage as the delay meant there was insufficient time to do so within certificate limits. Relief Purser Helen Ellis had to make a lot of complicated arrangements to get everybody home. 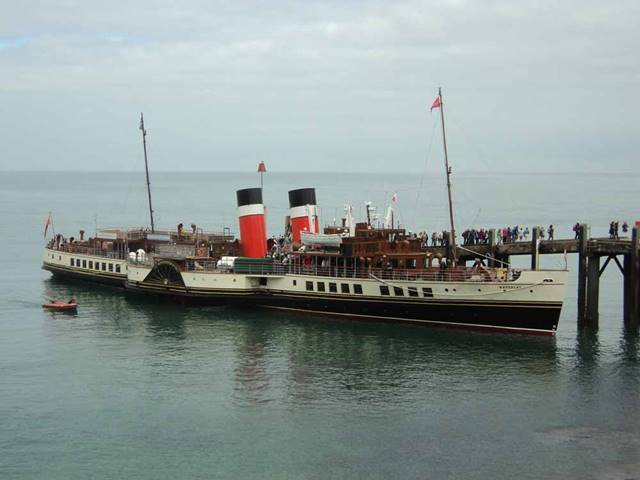 Waverley was eventually able to steam off to anchor in Cowes Roads for the night. Thursday saw the steamer alongside at Portsmouth to take her usual Lulworth Cove cruise. The arrival of a large Dutch warship delayed our departure but soon we were heading off into the Solent. 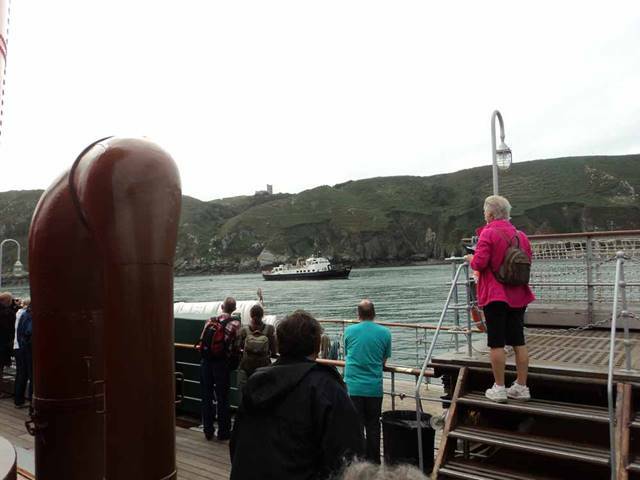 Shortly afterwards we were spotted by a Coastguard helicopter which decided to carry out a winching exercise on to Waverley’s stern, much to our passengers’ excitement. It had been grey and dry to begin with but soon we encountered two light showers, which were carried on a cold front, and then we were able to enjoy blue skies and clear visibility for the rest of the day. The recent cancellations combined with the sun to produce large crowds at Yarmouth, Bournemouth and Swanage. Although this was a good result, the time taken to effect the passenger exchanges meant the steamer was an hour late leaving Swanage for the cruise. 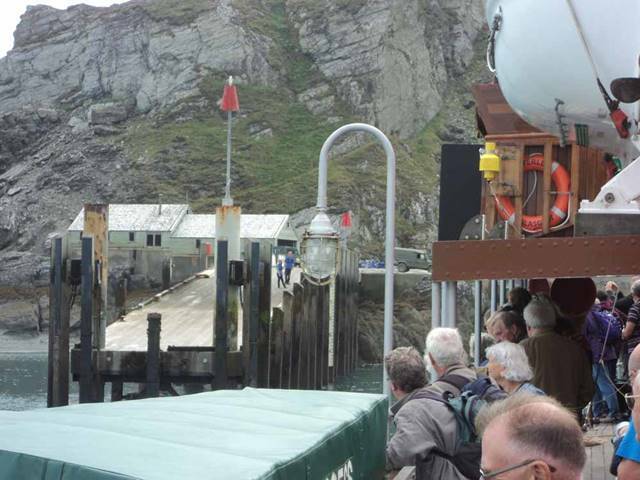 To maintain the return times, Captain Cochrane turned the steamer off Kimmeridge Bay rather than Lulworth Cove. The rest of the cruise passed uneventfully. Approaching Portsmouth we slowed to follow Brittany Ferries Baie de Seine, arriving from Bilbao, into the harbour. While we docked, her sister ship Bretagne passed us outbound. As the next leg of her itinerary was direct to Southend, the Engineers set about taking water prior to departure. Good progress was made along the South Coast, Waverley’s anchor being dropped just upstream of the pier about 08.30. Friday’s timetable took the paddler upstream to The Tower, with fuel being taken during an extended stop at Gravesend. Unfortunately, the fuel barge was late, which made the rest of the day’s programme about 30 minutes behind time. On arrival at Tower Pier, the Southend and Gravesend passengers were coached home while the steamer gave the PSPS London Branch charter, complete with jazz band. Departure on the Saturday was made with about 500 on board. As there are no pier trains at Southend at present, one large party took advantage of the Gravesend call to avoid the 1.25 mile walk. Before we arrived at Gravesend Captain Cochrane announced that there would be no call at Clacton owing to the strong southerly wind. Now the boiler gremlins struck again. During a long delay at Gravesend, the Engineers managed to persuade the boiler back into life and we were then able to proceed to Southend. I understand the problems appear to lie in the burner control system. Although there was a strong wind, it was from the south. This was accompanied by much sunshine, making it very pleasant on deck. As the call at Clacton was off, the steamer gave a cruise out to the Knock John Fort before turning south-west to the Shivering Sands Fort. 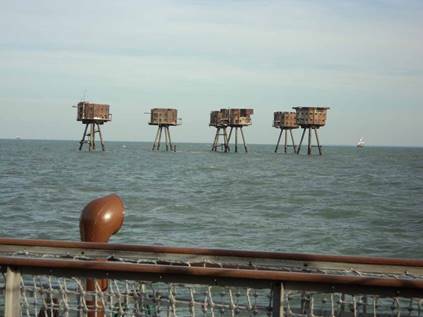 On the way back to Southend, we diverted south of the buoyed channel to steam around the Red Sands Fort twice! 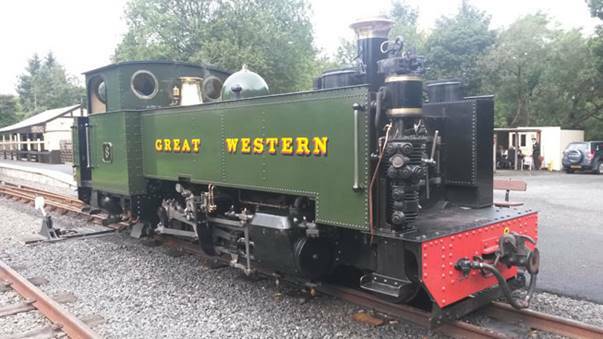 Bad news came on the return leg as it had been decided to withdraw the steamer on the Sunday for boiler repairs, meaning Sunday’s sailing was cancelled. 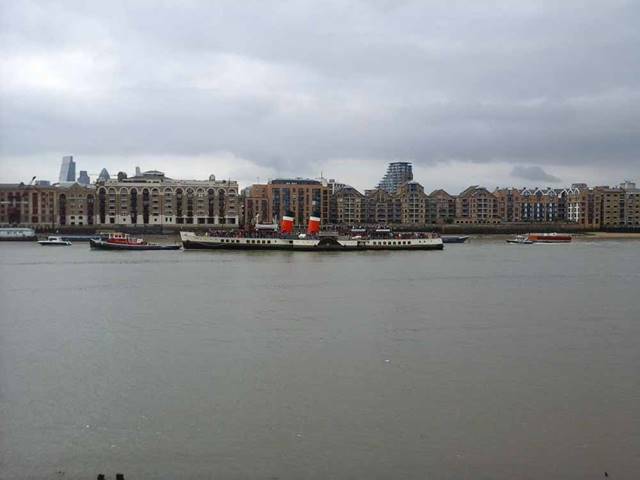 However, Waverley was able to complete her trip back to Tower Pier. 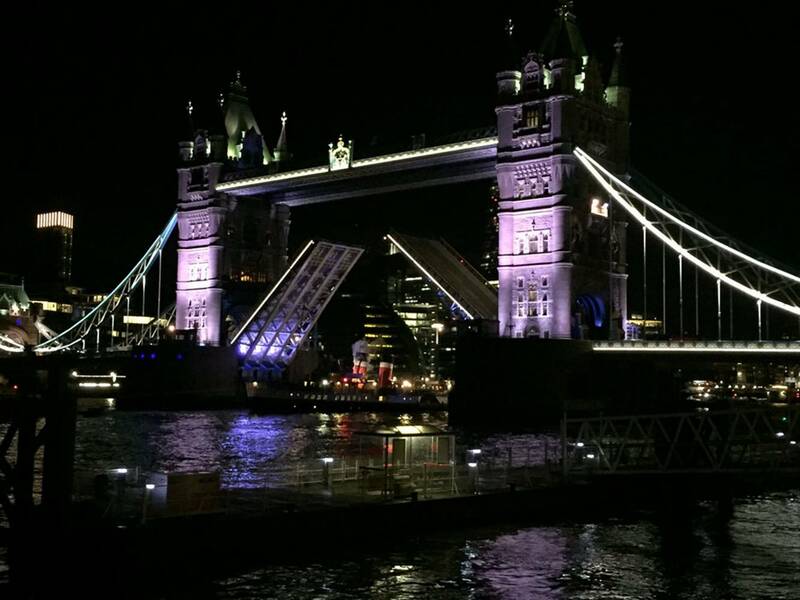 As her return bridge lift was booked for Sunday at 10.10, the paddler remained in London overnight before steaming downstream light to Gravesend. This gave me the opportunity to take the take this sequence of the paddler leaving the Upper Pool of London. 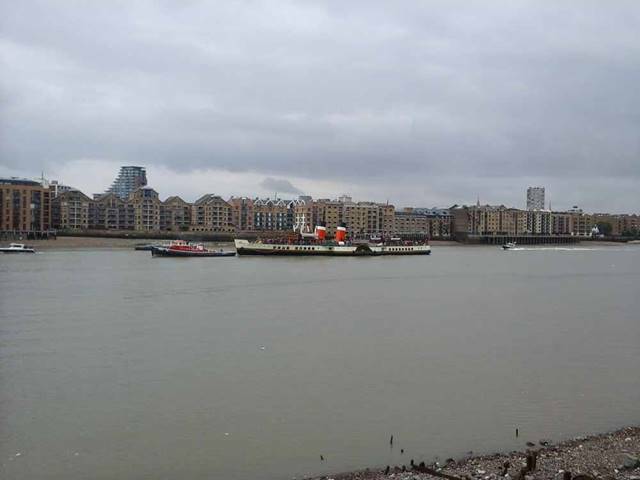 Following two days off service at Gravesend, Waverley successfully completed her Tuesday sail. This started early with a light sailing to Whitstable, where she was joined by a feeder coach connection from Margate as well as local passengers. 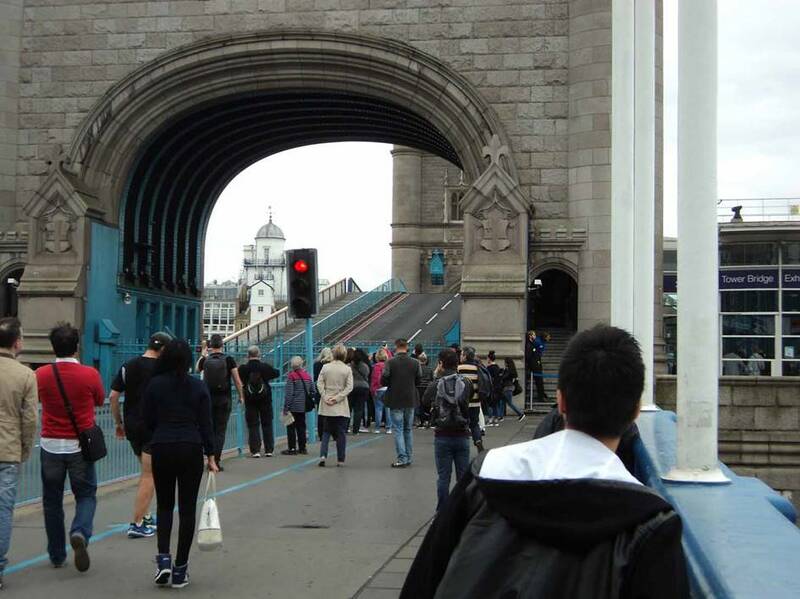 After calls at Southend and Gravesend, the steamer carried about 700 on a round trip to the Upper Pool of London, passing through Tower Bridge twice. All passengers were disembarked at Gravesend with coaches provided to the other three departure points. The weather on Wednesday was delightful with blue skies and balmy breezes. 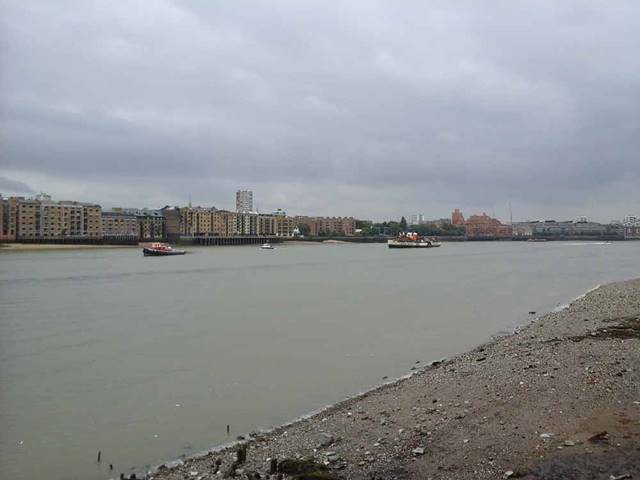 The paddler steamed away from Gravesend promptly at 10.00 for her one-way trip to Clacton. There was an intermediate call at Southend where about 100 joined the ship. After the first call at Clacton, where another good load joined the paddler, she headed west for the River Blackwater. 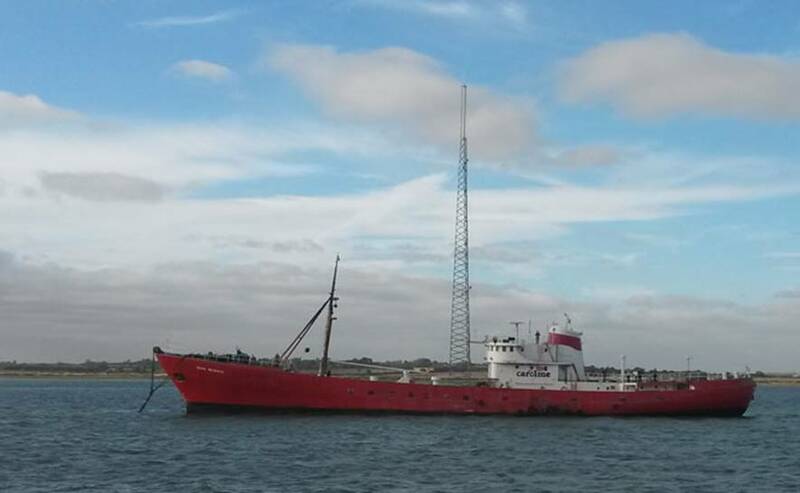 We enjoyed the delights of seeing Bradwell Nuclear Power Station (disused), Tollesbury Pier (remains) and rounding the Radio Caroline ship, the Ross Revenge (museum piece). Passengers were coached home although quite a few used the rail link in preference. 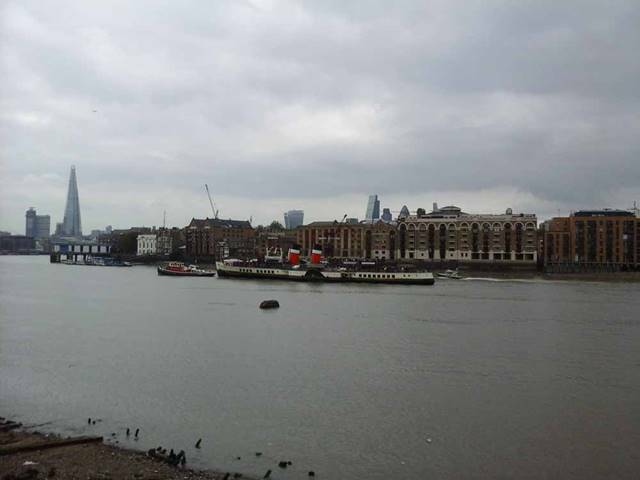 As the forecast winds for the following day were unfavourable, Captain Cochrane elected to take Waverley straight back to Gravesend - without passengers as arrival back would have been too late to meet the schedule. Thursday’s passengers from Clacton were taken by coach to join the steamer at Southend, leaving at 15.00 for Gravesend and Tower Pier. 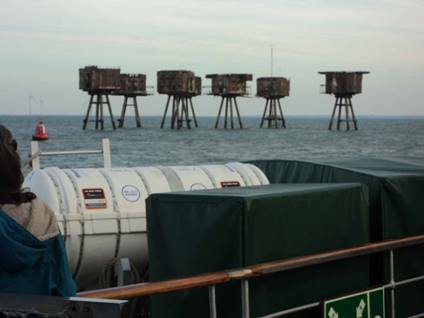 Friday 30 September saw the steamer sail for Gravesend and Southend for a Thames Forts cruise. 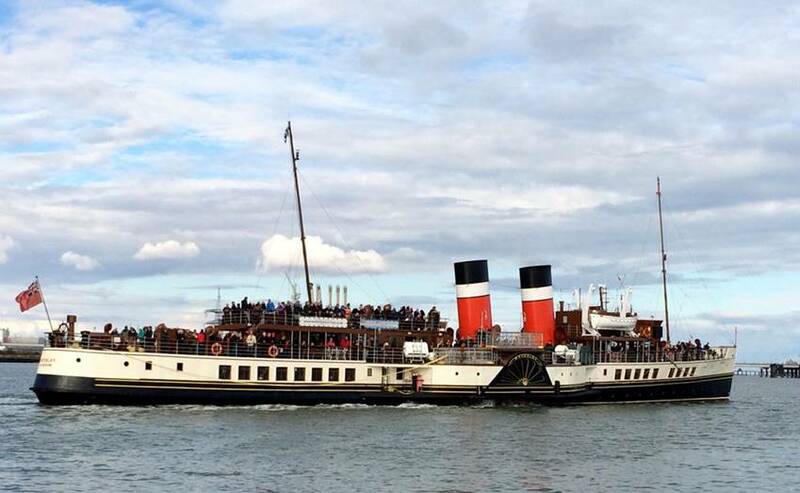 Waverley took a near capacity crowd from Gravesend on a day blessed with very sunny weather. 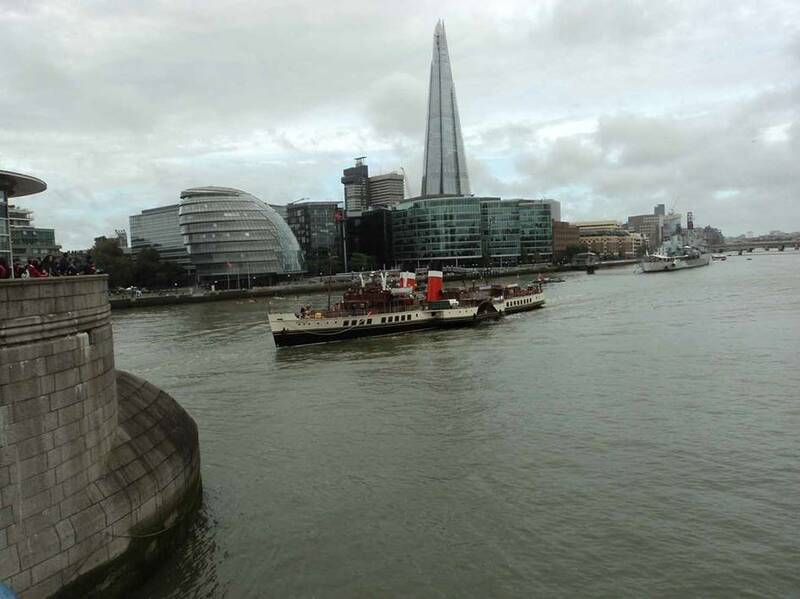 On Saturday 1 October Waverley gave three single trips between Tower and Southend. The first leg took a huge number of single journey passengers to Essex and then an extremely busy return sail from Southend and Gravesend, turning in the Upper Pool. Having dropped off her final passengers at Southend, the steamer proceeded light to Harwich, arriving around midnight. 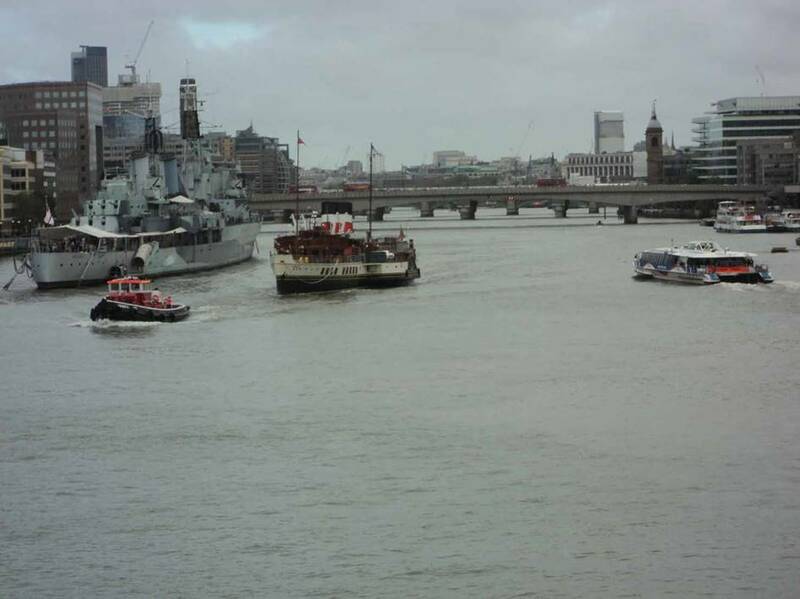 On the Sunday the full annual closure of the Thames Barrier took place, so Waverley had been scheduled for an up-river trip from Harwich and Clacton to Tower. The day was also the 70th anniversary of her launch in 1946 which was marked by dressing the ship overall, Jeremy Gold mentioning this fact in his knowledgeable commentary. A comfortable load for the length of the trip was carried. 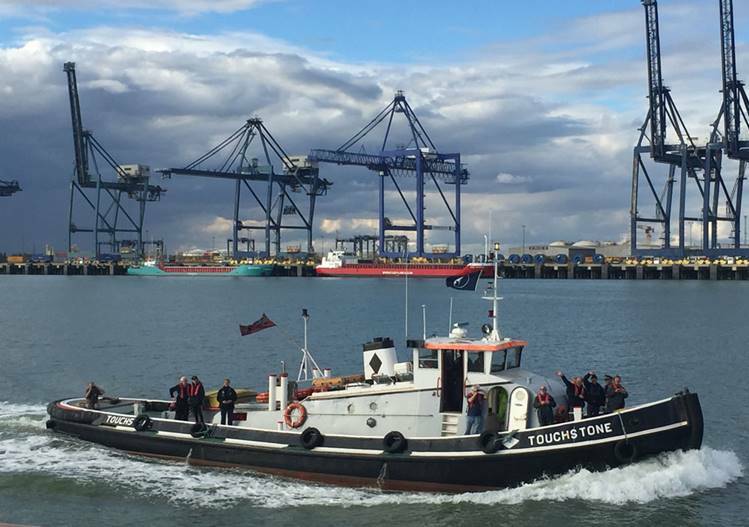 Monday was a planned off-service day at Gravesend, as was the following Thursday. It was planned to offer a single sail to Clacton on the Tuesday and one from Harwich to Tower on the Wednesday. However, a strong south-easterly wind put paid to these plans with a complete cancellation being necessary. Indeed, I took the hovercraft from Ryde to Southsea on the Thursday and, so strong was the wind, it took three times longer than normal! 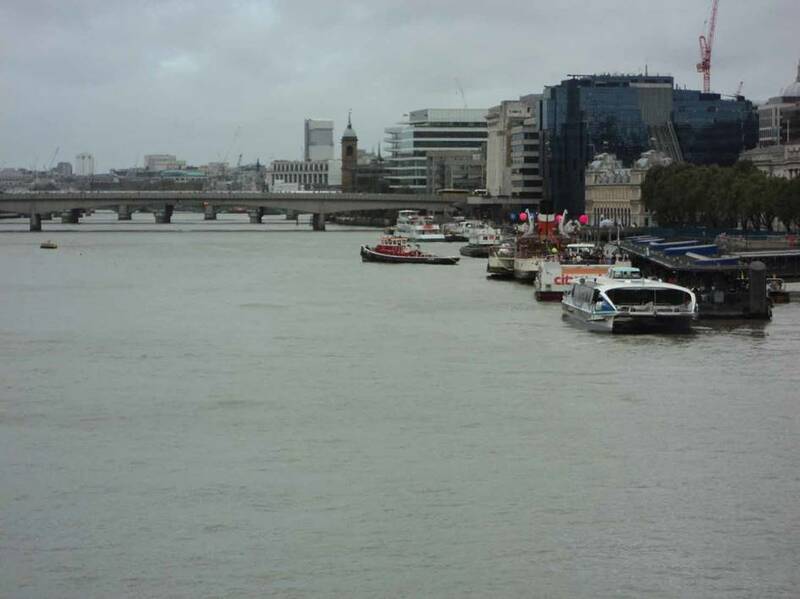 I understand there were white horses on the Thames at Gravesend. 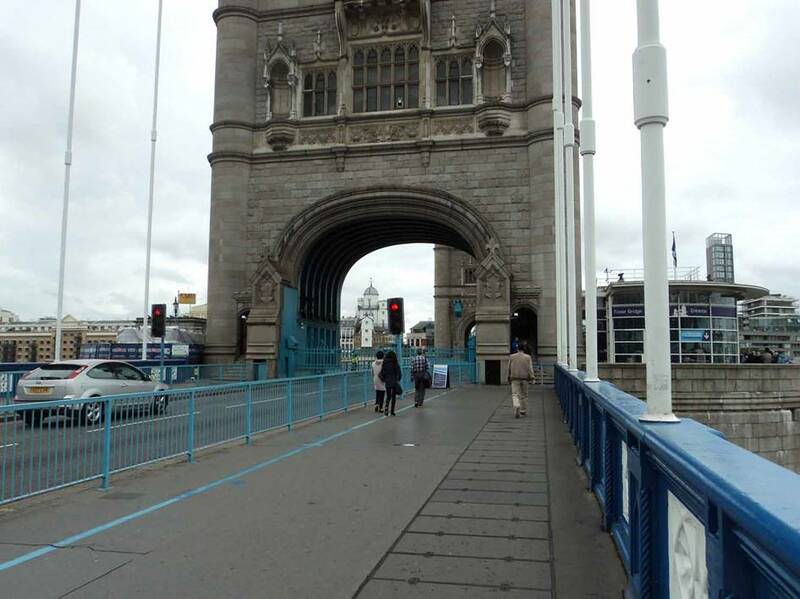 Friday saw the steamer back in service offering a return trip from Southend and Gravesend through Tower Bridge, followed by a single evening cruise back to Tower, partly to position for the following day. 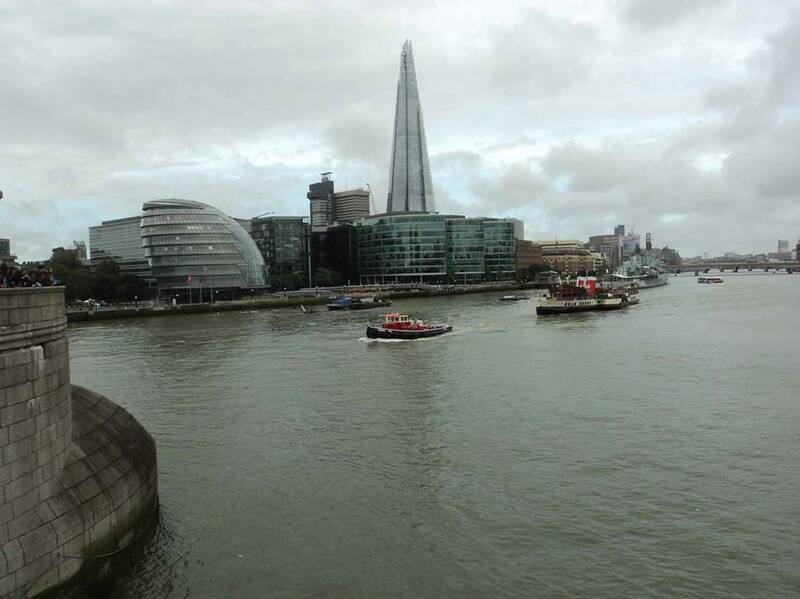 Leigh Sedgwick was on the south bank on 7 October as the paddler picked up tug General VIII to assist with her turn on the approach to Tower Bridge from Southend and took this sequence. Saturday took the paddler from Tower Pier to Gravesend, Southend and Whitstable for time ashore. We spotted four seals basking on the river mud at Crossness. Excellent numbers were carried and we were able to enjoy a pint and a half of Whitstable beer at our favourite Continental Hotel. Then the dreaded boiler burner gremlins struck again. 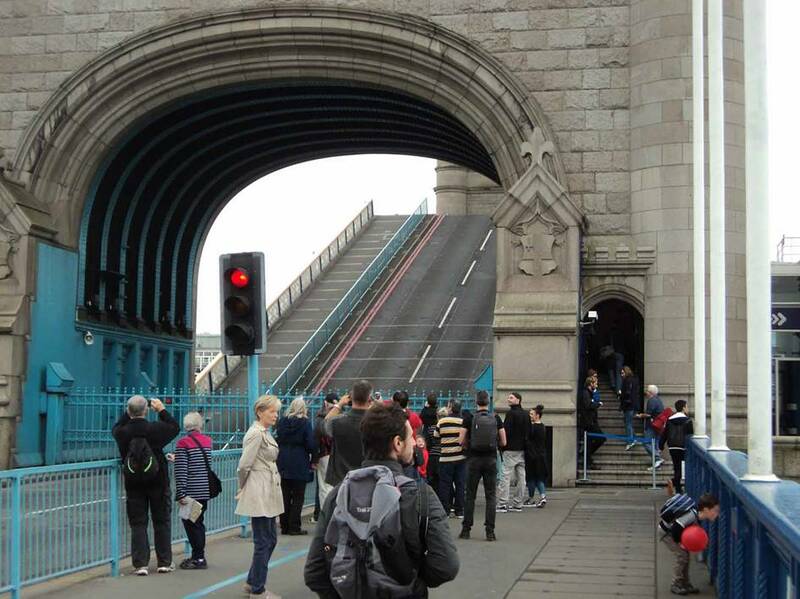 While the Engineers worked away at solving the problem, the tide ebbed out. 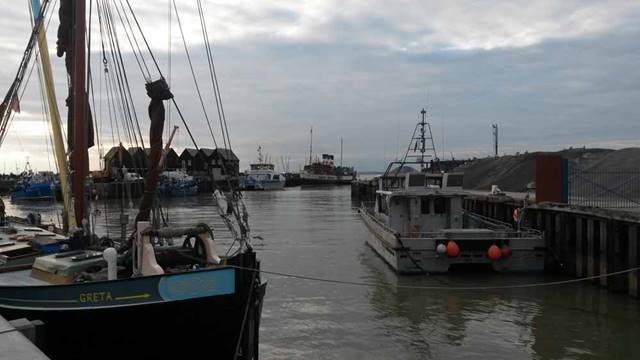 Whitstable Harbour dries out, so Waverley would have to depart to avoid being stranded. Finally, about an hour and three-quarters after time, the paddler gently eased away from the quay using only one of her two boilers. In perfect but dark conditions, the steamer headed for Southend, Captain Cochrane keeping us informed of developments. 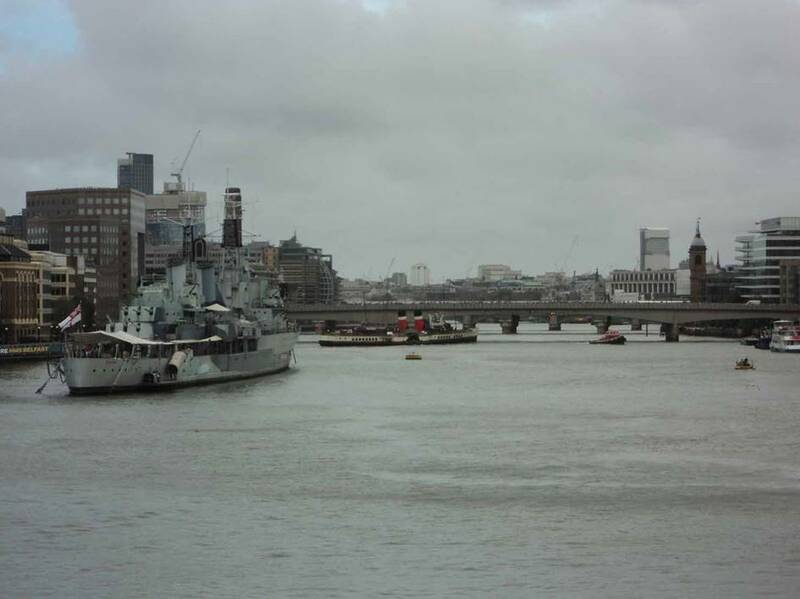 Gradually full power was restored and the ship was able to complete her journey, finally berthing at Tower Pier at one o’clock after traversing the twinkling Thames. 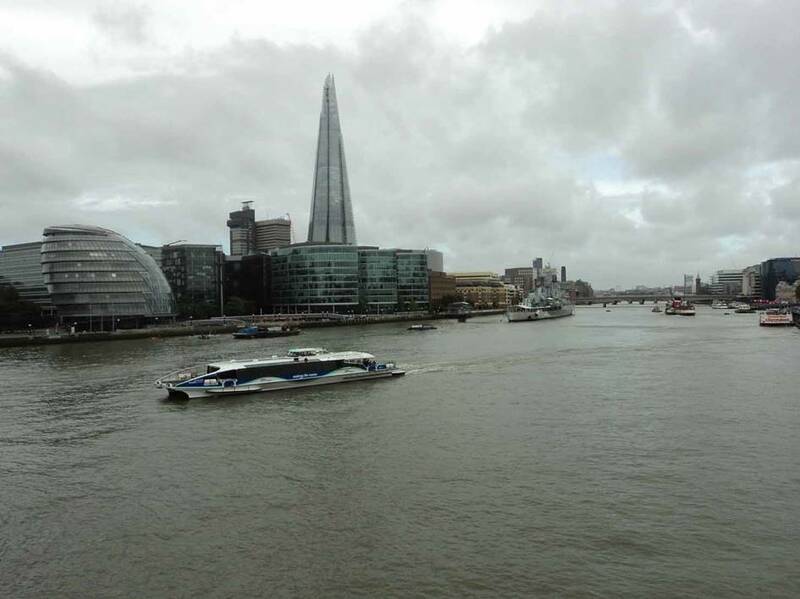 The final sailing of the Thames season took the paddler back to Gravesend and Southend for a cruise up the River Medway. The weather was very kind and we enjoyed good views in brilliant sunshine until dusk fell when it became quite autumnal. The ship once again carried good numbers. During the foray into the Medway we met, as is now traditional, the preserved diesel tug Touchstone which appeared to be carrying a Russian admiral! 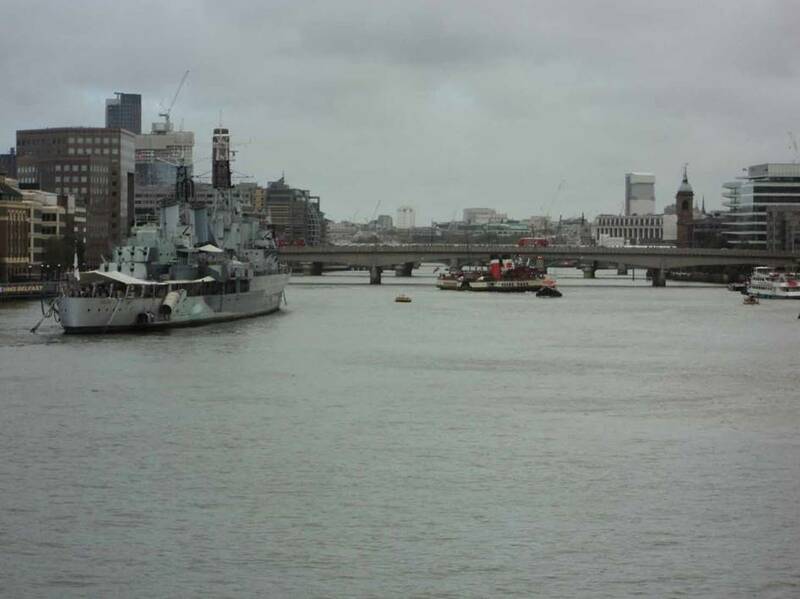 We also enjoyed a surprise extra when another preserved tug, Kent, emerged from the Swale as we passed. Salutes were exchanged with both tugs. Good time was made upriver. 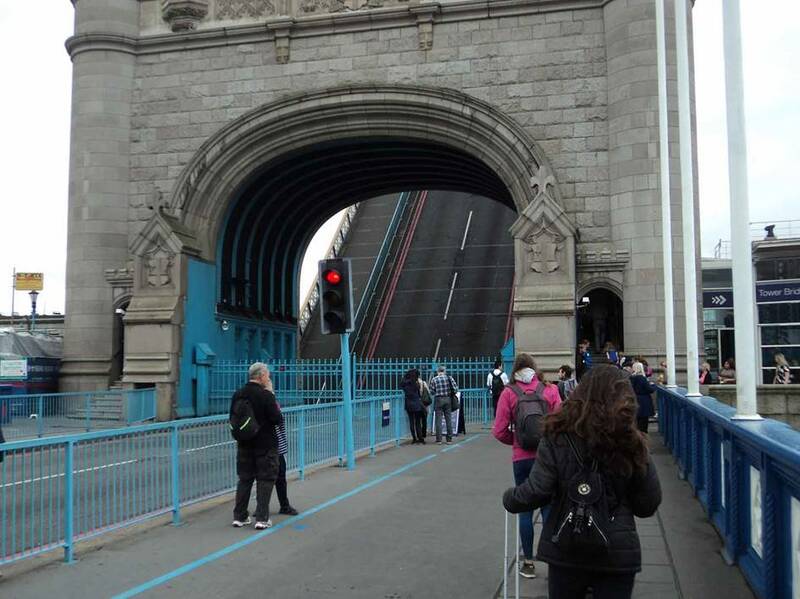 The timetable takes advantage of necessity by offering a return evening cruise from Gravesend to the Tower which attracted about 100, arriving back at 22.30.